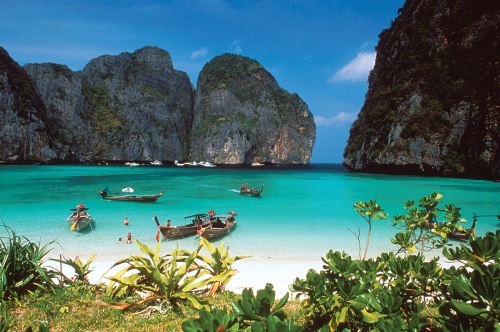 Chine Eastern has dropped the price of their November and December 2017 flights from Toronto to Bangkok and Phuket, Thailand down to between $659 and $693 CAD roundtrip including taxes. The flights have 1 stop each way, in Shanghai, China, for 2.5 to 5 hours. Update 8/3 - These no longer seem to be showing up on Momondo, but the cheap prices from Toronto to Phuket, Thailand are still showing up on Kayak. Not Bangkok though. 2. Click on the date box at the top, and try the dates from the list above. screenshot from the China Eastern website. toronto, yyz, flight deals, bangkok, thailand, asia, southeast asia, bkk, china eastern airlines, phuket and hkt. 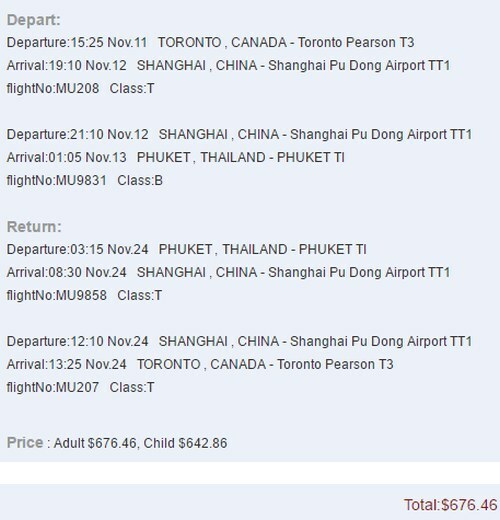 One Response to "Toronto to Bangkok or Phuket, Thailand - $642 to $693 CAD roundtrip including taxes"
Not able to get the $700 price for Phuket on those dates, Nov 12-26 is not working. Anything I should be looking for?